When Congressman Luis Gutierrez was a teenager in Puerto Rico, he became involved in the independence movement for his home country. It's a battle he's taken all the way to his job in Washington, where he represents Illinois' 4th District in Chicago. He brought a bit of that movement to Real Art Ways in Hartford last week. 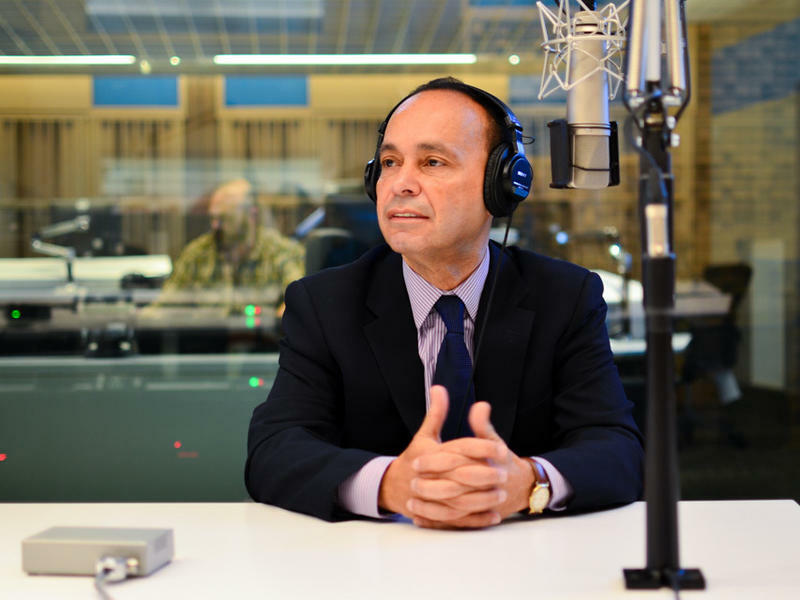 During an interview we recorded for WNPR's Where We Live, Gutierrez took time from his impassioned pitch for immigration reform to mention a key symbol of the struggle for independence. "There is somebody in jail who has sacrificed a lot so that Puerto Ricans can live freer," Gutierrez told the crowd. "Oscar López Rivera is the longest (held) political prisoner in the United States of America. And I'm going to continue to work with everybody here until Oscar returns home to his community. He believes in independence and the freedom of his nation. It's time he be released from jail, too." López Rivera has been jailed for 32 years and charged with "seditious conspiracy" in connection with his involvement in the Armed Forces of National Liberation (or FALN), a Puerto Rican separatist group that claimed responsibility for a series of bombings. In 1999 López Rivera refused to accept an offer to commute his sentence from President Bill Clinton because the deal did not include two fellow activists. López Rivera has been called a terrorist by some, but has claimed that the charges against him were strictly political. He was never tied directly to any bombings and President Clinton, in making the offer, said the sentences were "out of proportion to the nationalists' offenses." In the midst of my interview with Gutierrez, conducted in front of a mostly Hispanic crowd, we were surprised to learn that López Rivera had called in to listen to the congressman speak. The two men share an intertwined personal story. Gutierrez, the politician, was raised in Chicago in the 1960s, and was taken by his parents as a teen to live in San Sebastián in the Puerto Rican hills, where he became involved in the independence movement. López Rivera was born in San Sebastián and later moved to Chicago where he later became involved in the local FALN chapter. The prisoner's plight has become an important issue again in Puerto Rico, with a march scheduled for November 23. And it comes one year after a controversial and confusing referendum vote in the country that provided no real clarity on how Puerto Ricans view the possibility of U.S. statehood, independence, or a continuation of their commonwealth status. 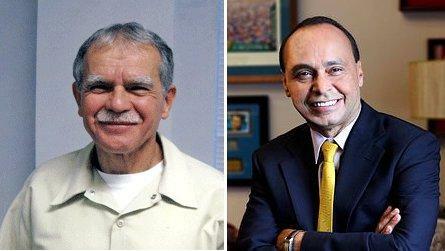 Listen to Rep. Gutierrez' comments about López Rivera below. The nation is in the 10th day of a government shutdown, and the deadline over raising the debt limit is quickly approaching. But all that might seem like a day at the park for Congressman Luis Gutierrez (D-Ill.). He explains why in his new memoir Still Dreaming: My Journey from the Barrio to Capitol Hill. He speaks with Tell Me More host Michel Martin about his political journey and the fight for immigration reform. Luis Gutierrez has been a tireless advocate for comprehensive immigration reform throughout his career in congress. There'a a push among federal legislators to award a Congressional Gold Medal to the last segregated Hispanic unit in the U.S. military. In the November elections, most results were pretty clear cut. But one that seems to have raised more questions than answers was a plebiscite on Puerto Rico’s political status.